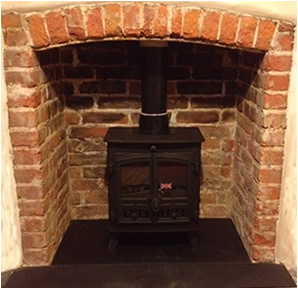 West Sussex Woodburners are HETAS qualified fitters based in Guildford, Sussex. Our installation service operates throughout Sussex, and the surrounding area. We would like to thank our clients for the following testimonials. "It was an absolute pleasure to deal with Pete and his colleagues. Professional, courteous, helpful and friendly. Having recently undergone a lot of work in the house, the idea of 2 more workmen filled me with dread, but these two were the best. We could not be happier with the service and after service that we received. Our log burners are terrific. If you want trustworthy, quality work from great people, look no further. We would have absolutely no hesitations in recommending them to anyone. Brilliant." " Peter came to estimate a job at our chalet bungalow in Hayling Island. We wanted a woodburner to be fitted and to sort out and fit the liner in the chimney.Once he had inspected the task.He explained what needed to be done and when he could start the work. We were impressed with his knowledge and his attitude and manner. He sent us a detailed estimate and a start date. The work was started on time and was carried out with the care one would expect. We found the lads to be clean and tidy workers and always cleared up before leaving at night. The entire job was completed on time and to our complete satisfaction. Also Peter managed to solve a damp ingress problem that four other so called tradesmen couldn't. We are so pleased to have found Peter and would not hesitate in using him again and would recommend him to anyone." "I have known Peter Whitmore, for many years and he has carried out a number of different contracts for me, ranging from extensions and landscaping jobs to full housing developments. Peter has carried out the work in a impeccable manner running to a strict program and working to NHBC standards. Peter is not only a quality builder but a person that you can trust." 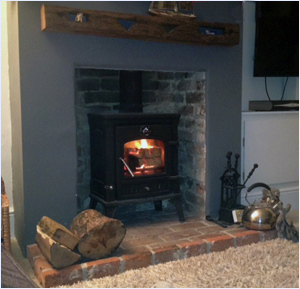 "When we made the decision to install a wood burning stove in our home we scoured the internet to find a local, reputable business to carry out the work for us. Peter at Whitmore Construction was amongst the fastest to respond. He visited and made an initial assessment of the chimney condition, the likely work required to the fireplace as well as making recommendations as to good quality, reasonable priced wood-burning stoves and suppliers. Our chimney required preparatory work, for which scaffolding was necessary and the fireplace needed 'knocking out' to achieve the size of hearth necessary to house the stove. Peter and his team undertook the work diligently and in good time, laying dust sheets and vacuuming to maintain a clean environment. 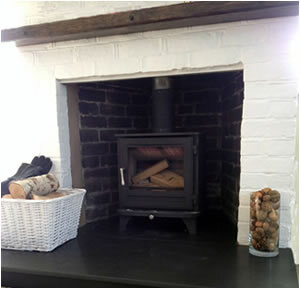 We are delighted with our new hearth and stove and have already enjoyed many a warm fire since!" " Peter came to look at our fireplace and chimney, and from the onset he filled us with confidence, with his attitude and manner. He carried out the work to a high standard for what we feel to be a fair price. Peter and his assistant Roger were always polite and clean workers and without a doubt professional. He made a lovely job of our chimney, which has sorted out the damp problems we were suffering, as well as the wood burner installation. We are delighted with the whole package as the wood burner has transformed our home and feel that Peter has done us proud. We would use him again for any building work." "It was great working with Pete. His enthusiasm for our old house got us all intrigued by what we might find and how the rebuild might work. He was keen to keep to budget but make the build as close to the original as possible, sourcing materials for us where necessary. Pete and his team were prompt, worked hard and were very reliable. We've done a lot of work to our house over the last five years but only used West Sussex Wood Burners for the last bit, we would have liked to have found him earlier."